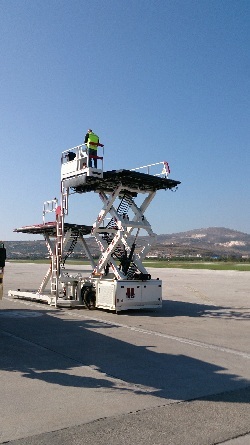 Split Airport has purchased new aircraft main deck container/pallet loader to be used for raising and traversing ULDs. The loader is designed and equipped for the loading of LD1/LD2/LD3 containers as well as pallets up to size of 96 x 125 inches, with loading width of 125 inches. 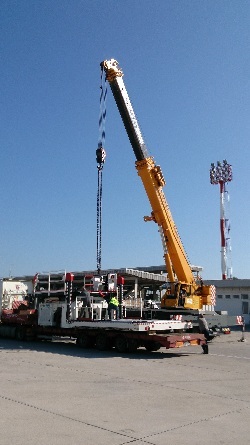 Safe handling of all types of ULDs from smallest LD container up to 10 ft. containers/pallets lenght and crosswise with a maximum payload of 7 tons. The loader is designed and built in accordance with IATA standards: AHM 932, AHM 909, AHM 910, AHM 911, AHM 913, AHM 915. In the open public procurement procedure, the most suitable tenderer is chosen, German firm LAWECO. Funds are provided from Split Airport own resources. 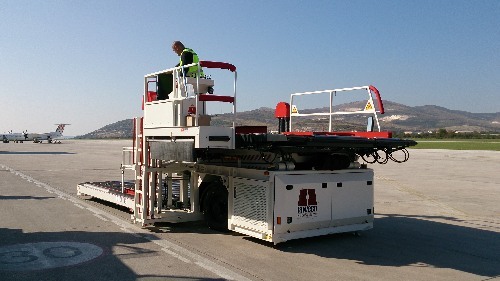 Olive harvest has started today at Split Airport. The harvest will continue for the next two days. On Saturday, 24th August 2013, we celebrated the Day of Split Airport and St. Bartholomew, the patron of our Airport. Program started with early morning gathering of invited guests and believers, and continued with the Holy Mass in front of small St. Bartholomew church, situated on the hill inside Airport area, open for public on that particular day only. Afterwards, at the foot of the hill, a reception was held at which Mr Lukša Novak, Split Airport General Manager, greeted the guests and whished them welcome. He expressed hope that our good business results will continue to grow and that other segments of Croatian economy will also revive. 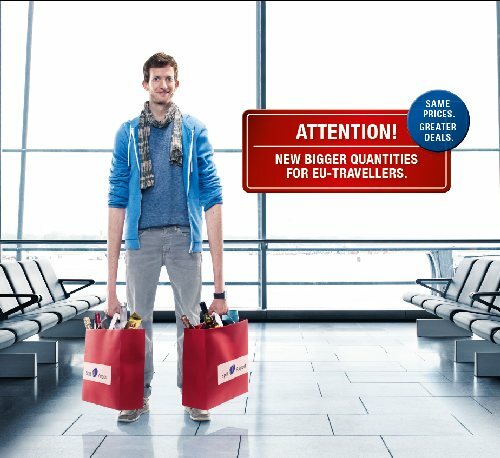 Since 1st July 2013, when Croatia became full European Union member, passengers travelling within EU favourably comment additional shopping benefits and our (still) convenient prices. For passengers travelling to out of EU destinations shopping conditions remain the same as before Croatia joined the EU.